Jodi Chapman's Self-Discovery Lessons on the Importance of Connecting with your Soul | Arianna Merritt, M.Ed. Ever wondered how you can get in touch with your soul, connect with like-minded people, and support one another on your journeys? I’m excited that today my friend, Jodi Chapman, is “Speaking From the Heart” and soul, and sharing her experiences with all of us. 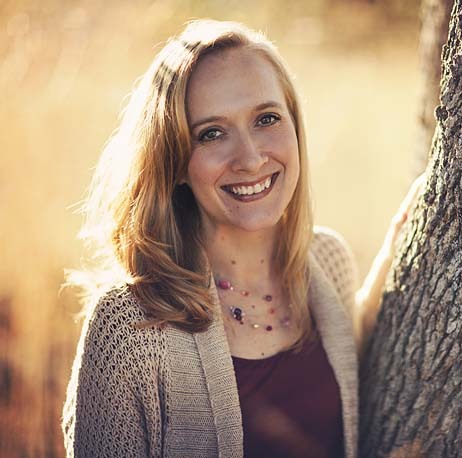 Jodi Chapman is the author of the award-winning blog, Soul Speak, the creator of the Soulful Life Sanctuary, and the co-author of the bestselling Soulful Journals series, which she wrote with her husband, Dan Teck. Thank you Jodi for speaking from your heart and soul! Keep up the beautiful work you are doing! Read Jodi's interview below and find out about joining the sanctuary at the bottom of the post. Enjoy! Oh wow – it’s absolutely everything. Showing up authentically in our lives is what we’re here to do. We are each unique souls with our own unique voice, and it’s so important that we figure out what’s in our heart to begin with and then be brave enough to share it with the world. In my own journey, I’ve found that it’s so refreshing to find others who are living authentically – without the mask. It’s extra special to see someone being vulnerable and living with an open heart. When I find another doing this, I immediately connect with them on such a deep level. We are all so wanting this connection – we yearn for it. And being authentic and sharing our truth is the direct path to this type of soulful connection. Writing consistently over the past few years has brought me back to myself. It’s my way of connecting with how I feel and then being able to express that feeling. It’s connected me to my soul – that wise part in all of us that is constantly guiding us throughout our journey. Through my writing, I’ve gained confidence in myself, and I’ve been able to connect with others in more ways because of that new-found confidence. For example, I was so, so shy when I first began to write my blog and books. And after a couple of years of building my confidence around what I was sharing, I was able to connect with others live in small groups and share my thoughts with them in this way. It’s been amazing! I trusted my soul right from the start. I knew that there was something bigger than me coming through as I was typing, and I did my best to step out of the way and allow the message to come through. It definitely didn’t happen overnight. Like I mentioned above, I’m pretty reserved and pretty shy, and so knowing that others would be reading my innermost feelings was absolutely terrifying to me when I first started writing. I often would write a post, publish it, and then crawl into my bed and pull the covers up over my head. Sometimes the fear became so visceral that I thought I would throw up. But, because my writing comes straight from my soul, I trusted that whatever I shared was needed. I trusted that someone was waiting to read it. And so I kept the post up, and I worked through my own vulnerability around it. Eventually, this fear started to dissipate. It helped to receive feedback from others that my posts were inspiring them to embrace their life in some way. Frequently the posts that I’m most afraid to share are the ones that receive the most positive feedback. I’ve really found that the more vulnerable we are, the more we give others permission to do the same. And so knowing that has helped me be a little braver in what I share, too. If the flow isn’t happening, I have learned that it’s because there’s a part of me that’s interfering with this flow or that’s somehow blocking my connection to my soul. This can be for many reasons – maybe I’m putting too much pressure on myself about how I think the post should be. Or maybe I’m trying to write something that doesn’t feel authentic because I think I’m supposed to. Or maybe it’s just not the right time – maybe what I really need in that moment is to step away and take a nap or watch TV or read a book. Sometimes just walking away from the screen is the best thing I can do. Sort of like hitting the reset button. Then when I come back, I am in a different frame of mind and can start again. It took awhile, honestly. During my first year of blogging, my support group mostly came from the handmade gifts community (which is where my business started). As I began to shift from making products to writing about spirituality, that community no longer felt like a fit for me. I wanted to find others who were seeking and others who were wanting to connect on a deep level. So I kept looking. Facebook has been a wonderful place for me to connect with others. I started a couple of groups and set the intention that like-minded souls would find me. And thankfully they did! I think it’s really important to be clear in our hearts about the type of support group that we would like to bring into our life. Once we are clear, we can start taking action. And things start falling into place really quickly. Keep at it. Keep writing. Keep publishing. Keep sharing authentically. Just keep at it. I think that’s really why I’ve had a certain level of success. I don’t give up. I keep going and keep writing and keep sharing. I can’t imagine not doing that. I think if you’re following your heart and writing because you can’t imagine not doing it, you’re already well on your way! Thanks for speaking from your heart and empowering others, Jodi! Keep up the fantastic work! If you’re longing to relax, share openly, and experience deep connections, I’d love to introduce you to the Soulful Life Sanctuary—a loving, supportive community, a virtual classroom/retreat center, and a set of tools/resources to help you live your most radiant, authentic, soulful life! Created by my friend, Jodi Chapman (author of the inspirational blog, Soul Speak, and the popular Beliefnet column, Heart of the Soul), the Sanctuary is packed with soulful goodies. You’ll have unlimited access to over a dozen sacred spaces (led by experts in Spirituality,Wellness, Abundance, Soulful Parenting, Self-Love and Relationships, and other areas), as well as courses, community forums, membership pages, blogs, a shop of soulful products/services, and so much more. The Sanctuary doors open on July 1, but you can sign up right now and receive an earlybird discount of $100 (until June 30) + over $800 in bonus gifts! Please click here to learn more and find out how you can begin your Soulful Life Sanctuary membership today! http://www.soulfullifesanctuary.com.